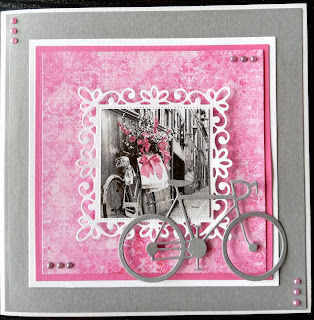 I have used grey, pink and white cardstock plus paper from Lemoncrafts "Daydream" collection. 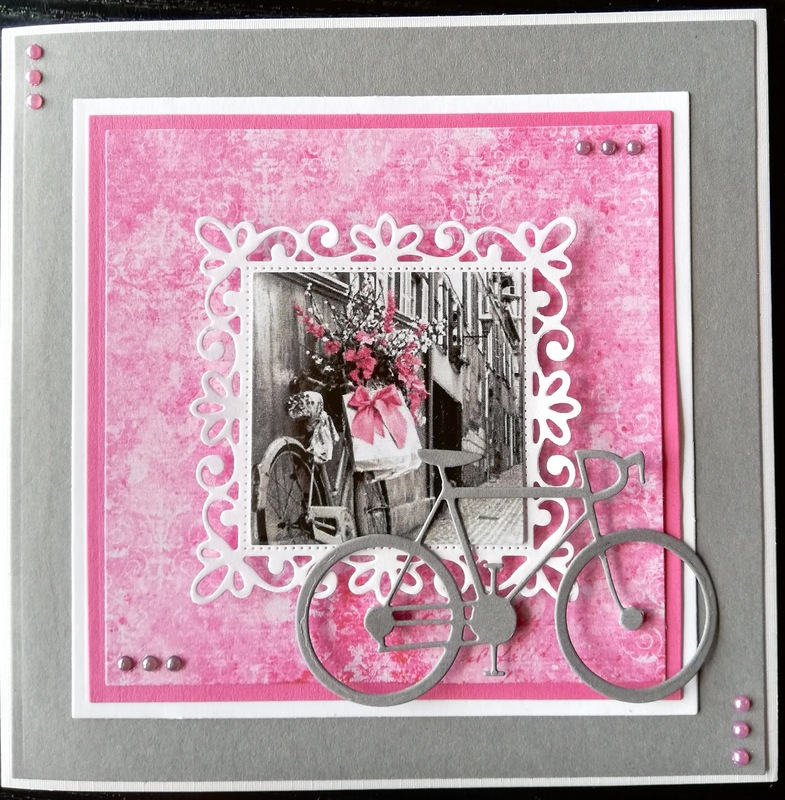 I think the picture is from Google, the squares are cut with Matting basics 6x6 from Spellbinders, the frame is a die from China, and the bike is from DixiCraft. The card is decorated with grey and pink halfpearls.